RSS is most-certainly opt-in, but it's only "authenticated Email" by virtue of the fact that the usage has been so small, that authentication (of Digital ID) was not a big necessity. Now think about the relationships supported by what RSS provides: notification, subscription, syndication. The first two give new meaning to the third, when you think about what can be done to make email as personal as mail was in the first place. I would gladly subcribe to writers whose correspondence is accompanied by an RSS notification. I would gladly syndicate my willingness to relate with people who know me, within the context of an email system that respects the meaning of the verb relate. 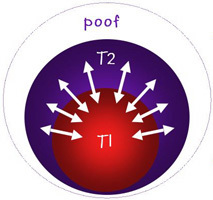 T3 identity is a marketing or abstracted identity. T3 identities speak to the way in which companies aggregate us into different marketing buckets for the purposes of advertising or communicating with us. For example, we're either a 'frequent buyer' or a 'one time customer' etc. etc. 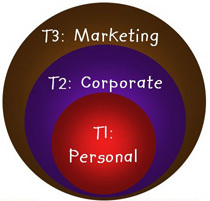 T3's are typically based upon our demographics or our behavior in our interactions with business. The entire CRM market caters to T3 identities. If we can get that from e-mail, by making it re-mail — relationship mail — and make Tier 3 go away, would it be worth the effort?